Investigations into the murder of Olaitan Oyerinde, an aide to Governor Adams Oshiomhole, who was killed in the weeks leading to the Edo State governorship election appear to be yielding fruits with one of the four arrested suspects identifying Rev. David Ugolor as their sponsor. 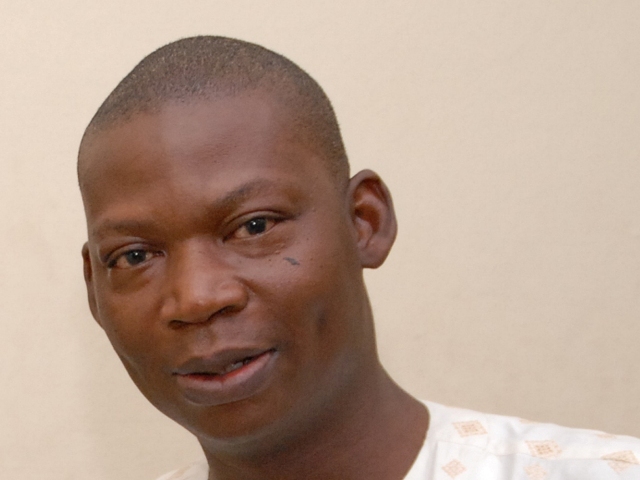 Ugolor is a Benin-based activist and the Executive Director of the non-governmental organisation, African Network for Environment and Economic Justice (ANEEJ). Ugolor, who was known to have been a very close friend of the deceased, was said to have been the last person seen with Oyerinde on May 4 when he was murdered, and was the first person contacted by Oyerinde’s wife to rush him to an hospital in a bid to save his life. According to the Nation Newspapers, Rev. Ugolor was arrested at his First East Circular Road office and the police later conducted a search of the office and his residence apparently to uncover any evidence which might link him to the killing. Ugolor has however maintained his innocence saying he was framed. The Programme/Policy Officer of ANEEJ, Mr. Innocent Edemhanria, who release a statement to Ugolor’s defense in Benin, said the relationship that existed between the deceased and Ugolor was so deep that one could never have plotted killing the other . He said: “The suspect who is accusing David Ugolor is a northerner and is completely unknown to Rev. David Ugolor, colleagues and friends. At the moment, the police are still holding on to David as they carry out their investigations on the allegation we consider spurious. “We suspect strongly that somebody high up somewhere is framing up our executive director, Rev. David Ugolor over the murder of the personal aide to the Edo State Governor, Comrade Adams Oshiomhole. With this web of intrigues surrounding the case, it is clear that the police have their work cut out for them in unraveling the mystery behind the Oyerinde murder. Nigeria is full of unbelievable stories. many times we loose valued lives because Nigeria police want to convince the people they are working. HOW CAN WE JUST WAKE UP AND SAY REV DAVID OGOLOR IS SPONSORING ASSASSINS. I strongly believe that the Wicked Will Never Go Unpunished, Just as liers are Liable Live a distruct & Cursed Life,But One Thing is Certain The Truth must Uncover It's Self, Pls from the much I know & the Little I think I don't Know, Rev David Ugolo is an Icon to Emolate not an Object of distroct. So Nija POPO I knw U're doing u Job But Release Our Rev OooHhhH!!! And Alow SSS in Abuja do their work oh! !